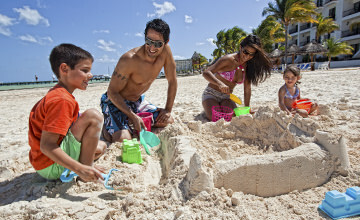 The best deals and packages for your family All Inclusive vacation in Playa del Carmen are here in Royal Resorts. Take advantage of the exclusive discounts that Royal Reservations has created for you and your family, in the elegant and cozy Mexican atmosphere of The Royal Haciendas All Suites Resort & Spa. 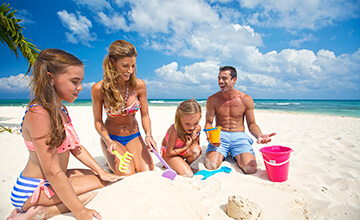 The ideal place for a dream family vacation is in one of the best All-Inclusive resorts in Playa del Carmen, The Royal Haciendas All Suites Resort & Spa. 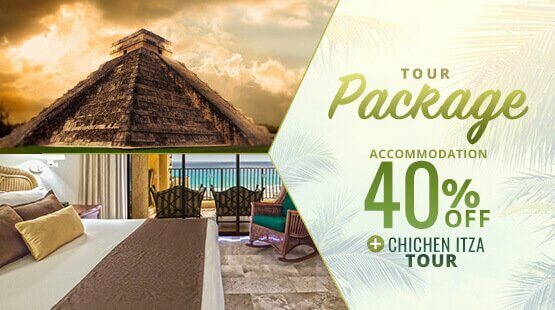 This family resort in the Riviera Maya, located in an exclusive golf complex, will give you the most beautiful views of the Caribbean Sea from any of its suites and master suites boasting exclusive amenities and a decor that offers warmth and comfort for its occupants. The incredible facilities of this amazing beachfront resort in Playa del Carmen have an architecture that evokes a traditional hacienda in Yucatan, but with all the amenities, fun activities for kids and adults, and amenities like huge pools, delightful restaurants, spa services, soft sandy beaches and a sea of blue hues that will hypnotize you. 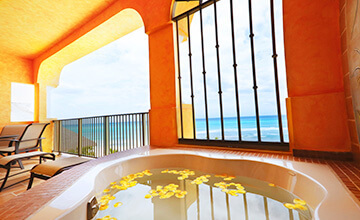 Experience the beauty of the Mexican Caribbean at its finest in The Royal Haciendas All Suites Resort & Spa, an All Inclusive hotel in the Riviera Maya that will present you with a new way to spend your family vacation. Our magnificent beachfront resort has the best amenities and services in both its suites and the other facilities of this hotel in Playa del Carmen. The unique amenities that our visitors will enjoy include incredible swimming pools, spa service, family activities program, equipped gym, amazing amenities in all suites and master suites, and more. "The grounds are magical and well cared for. It was a joy to wake up and look out the window then walk to the beach to watch the sunrise. The staff was very friendly and helpful. The room was very clean and spacious. Hard to say anything bad about this beautiful place. Very relaxing!" 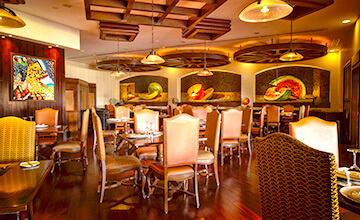 "Julio Cesar Garcia (Executive Chef) has been extremely accommodating and knowledgeable. Every day he has prepared delicious gluten-free options. There is also a gluten-free menu with appetizers, entrees, and desserts. My wife's dining experience last week was exceptional and we look forward to the remainder of our stay." "We are members at The Royal Haciendas and look forward to our stay every other October! Kids club is awesome to keep the kids entertained during the day and/or allow for some "adult" time in the evening. The housekeeping staff is superb. 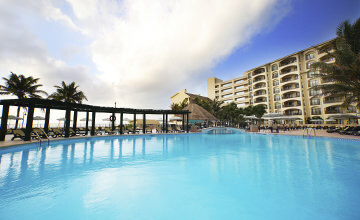 Everything is great, the rooms, beaches, pool, food ( room service is excellent)." Comfort, tranquility and rest are synonymous with the beautiful suites and villas of our hotel in Playa del Carmen, which boasts beautiful views, tasteful decoration and other amenities. The Royal Haciendas offers you the delicacies of Mexican and international cuisine in its restaurants and bars in the Riviera Maya. Enjoy dishes from our à la carte menu and the varied buffet. In The Royal Haciendas the fun will not end thanks to our activities program for children and adults, the best tours and the day and night entertainment of Playa del Carmen. 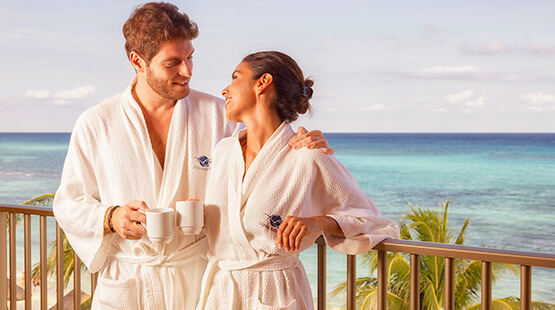 Grand Residences Riviera Cancun, located in the heart of the Riviera Maya, is the crown of our family offering signature hospitality and services in an exclusive pristine hideaway. 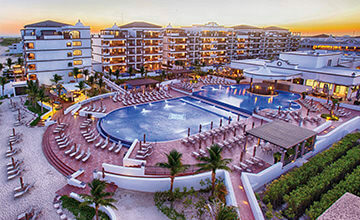 It was recently ranked #1 in Puerto Morelos, Riviera Maya by Tripadvisor. 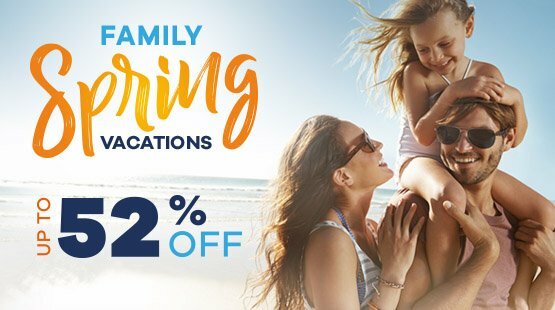 The Royal Islander is a family oriented tranquil getaway in Cancun paradise offering direct access to resort five-star services also available at its twin neighbor The Royal Caribbean, besides its spacious villas for your comfort and peace.